MAB	/ News / Corporate	/ The Quays to Success – Ten Awards This Year! The Quays to Success – Ten Awards This Year! MAB’s latest residential development, The Quays, has won ten awards this year across the property and architectural industry. The Quays is a mixed use development featuring 617 apartments and retail spaces, including The Sebel serviced apartments. Completed in December 2013, this landmark development has captured the attention of the design and architectural industry with its vibrant colour, bold design and commitment to liveability. MAB was awarded the Australian Property Institute – Property Development Award for Victoria. The award recognises MAB for demonstrating the qualities of leadership and vision that lead to a change in the property industry in the interests of both property practitioners and the community at large. 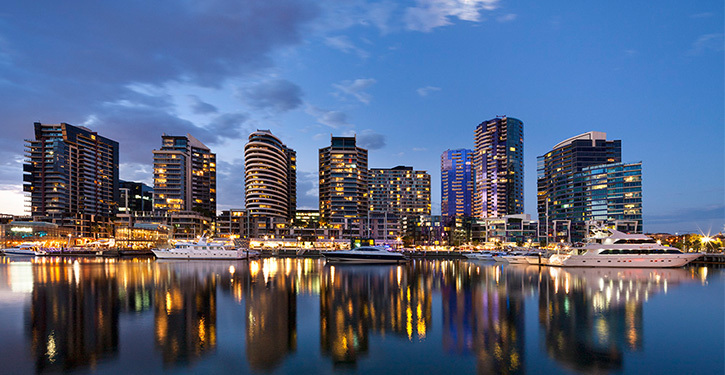 The Quays has received a property industry award and nine architectural awards including two Victorian Australian Institute of Architects awards, and three Dulux Colour Awards including the major Grand Prix Award, Melbourne Design Awards and timber awards. The Quays was selected for this year’s Open House Melbourne Festival in July, which gave the general public the chance to take a guided tour with the architect, McBride Charles Ryan and MAB. An Open House Melbourne Festival visitor’s photo of The Quays won the photography competition.